They defend themselves with toxic secretions and stinging cells. Their incredible coloration make them very visible which warns their predators of their dangers. Yet they cannot see their own beauty, their vision seeing only light and dark. They sense the world through appendages on their heads. They are of interest not only for their incredible natural beauty but because their simple nervous systems provide clues to learning and memory as well as being an “indicator species” showing the health of their environment. Nudibranchs have medical significance because the toxic compounds in the creatures they eat are powerful chemical agents that can deter the growth of cancer cells. Finding drugs through marine invertebrates is not a new concept and be traced back as far as Pliny the Elder who mixed ground snails with honey to treat “ulcerations of the head”. 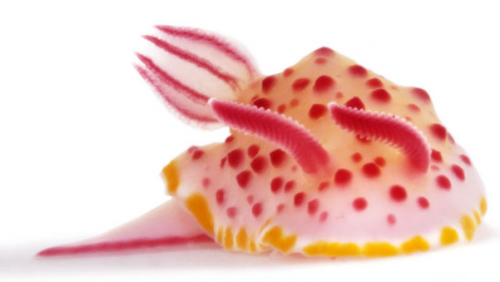 Nudibranchs know how to look good while they ward off their enemies – they even sport this season’s latest color – honeysuckle pink. So while scientists are isolating chemicals from these creatures to hopefully help human disorders, we can admire their exceptional sense of style. This entry posted in learning. Entry Tags: Nudibranch Bookmark the permalink. That’s wild…how interesting. They are insanely beautiful!! Hi Jill – Aren’t they amazing?! Nature is a wondrous force! For some reason they look like a soft spongy candy to me. break from paint colors and new fabrics. So interesting. Hi Jane – Anything with style is fodder for a post here! Found this so interesting and beautiful! At first I thought they were paper weights! So incredibly beautiful! Hi Sherry – Aren’t they beautiful?! And so interesting that they supply medical potential. I do alumni interviewing for college and I interviewed a girl last year who did an internship with a professor in Hawaii who was researching this topic! I love this. After the “cork article”, I am going to knock the socks of my random fact filled son! Wonderful colors and wonderful information. 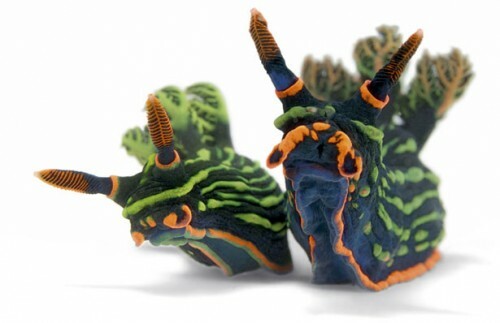 Amazing that these slugs are being used in scientific investigation. Sarah – So happy to supply you with ammunition!! Hopefully he’ll find it interesting as well. Stitchfork – All beauty at some point was derived from nature! I love these creatures. So beautiful, yet of the utmost simplicity. Thanks for starting my Sunday off to perfection. Hi Mary – My pleasure – I thought it would be nice to show something with style and substance a little out of the box! Those colors are just beautiful. Yes, you’re right, nature doesn’t make mistakes. Hi Marsha – It’s just so amazing that these creatures actually exist as they are pictured – nature’s beauty indeed. You come up with the most interesting (and colorful!) 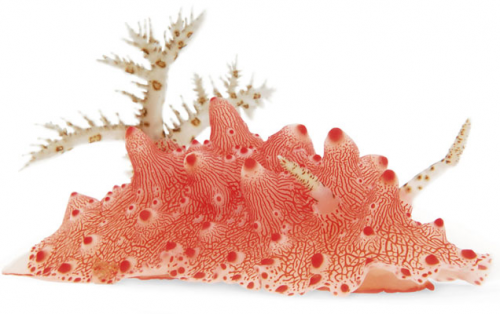 posts… Who knew a sea slug could be so beautiful! Buzz – Thank you!! Beautiful and scientifically significant! Thank you for thinking of me Mark – I’m flattered! I will stop by in a bit! Wow they’re absolutely gorgeous and so breathtaking! Hi Dawn – Aren’t they just amazing – you wouldn’t believe they were real if you didn’t know! I have seen one swimming in the ocean once. They have a grace equal to the beauty of their coloration. Hi Lisa – wow! I don’t think I would have realized what it was even if I had seen it! My pleasure – hope you’ll stop by again. Absolutely bizarre and absolutely stunning but what a fun post just look at those colors! AO – Not my usual post topic but I thought they were just so visually arresting! Hi Barbara – Thanks – and yes, we want to do everything possible to protect these beautiful and valuable creatures! In bloggy land, when the words toxic & beautiful are paired with great potential they are usually referring to the design or beauty industry, not science! Good for you for writing the most interesting post I’ve read all day! Now I get to go empress my kids. Thanks a million! So great to have found you we have some really wonderful bloggy friends in common! Hi Lisa- thank you!! So glad you found your way here – I’m sure via mutual friends in our amazing blogosphere! Zhush – I can see how they might give your the “willies”. They almost look other wordly! Oh my goodness. SO beautiful. Such interesting facts to this biologist! I never knew! Your posts always amaze me, Q.
Hi Teresa – Thank you!! I”m so glad you found these amazing sea creatures interesting as well! 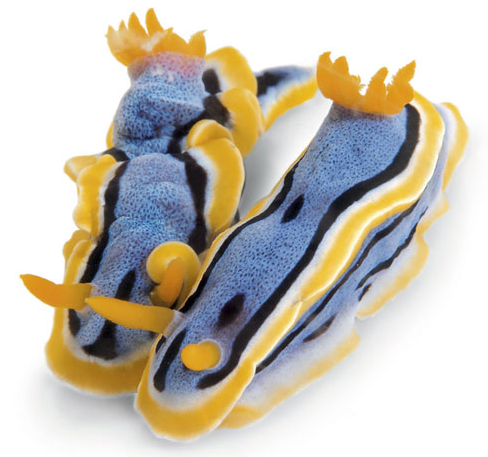 Ok, I am sure you are probably one of the only other bloggers that would post about nudibranches being stylish…I have a ton of nudibranch images saved and have been planning on doing a post about them for awhile now. Aren’t they just so magnificent and colorful??? My son plans on being either an entomologist or marine biologist when he grows up…both he and I border on obsession over insects, spiders and marine life! As soon as I get to post, I’ll definitely forward it to you because it is so lovely to know someone else who finds these creatures stylish. Awesome post!!!! HI Danielle – Oh how funny! Both my college roommate and boyfriend were marine biology majors – my roommate is now a doctor (after receiving her masters in zoology from Duke) and the boyfriend is now a professor at McGill and evidently the North American expert on salmon! My son wanted to be a vet forever but changed his mind in high school and is now applying to law school! My sister-in-law, who has done a lot of scuba diving, wrote me after reading this post, to say that she saw many of these when they dove in Fiji and because they are so slow moving are excellent to photograph! That is so funny! I am thinking my son will definitely stick with something Science related because of his serious interest in creatures. It was sparked by an explosion we had here of cicadas…they were everywhere and my son at age 3 was obsessed. We had to eat with them, play with them and yes even sleep with them. I remember one day waking up to cicadas crawling up my torso, luckily I love insects as well. I have insect prints all over my home…I love it! Have a wonderful week!! Loving your blog. You cover everything from wine to amazing creatures only found in nature. This is my favorite daily read! Poppy – thank you!! I’m truly flattered! I’m interested in the style and substance of it all! 82 queries in 0.563 seconds.